A model-based Machine Learning (ML) approach is presented to detect and localize external contacts on a 6 degree of freedom (DoF) serial manipulator. 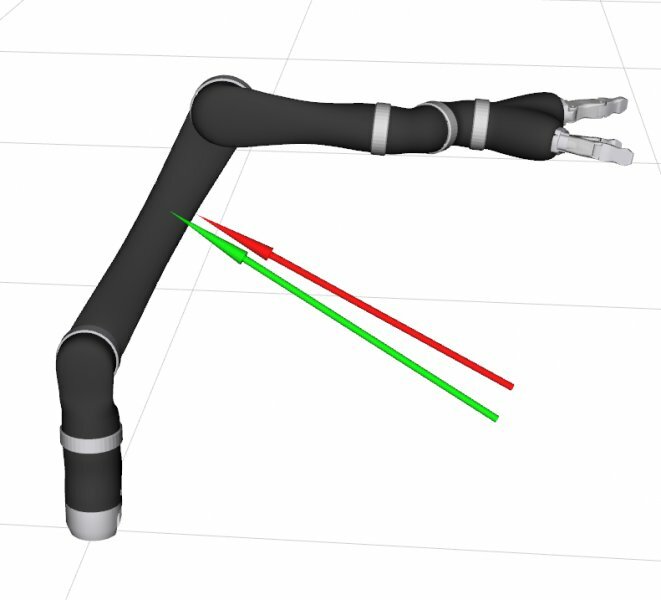 This approach only requires the use of proprioceptive sensors (joint positions, velocities and one-dimensional (1D) joint torques already available in the robot arm). Good results are obtained with Random Forests (RFs) and Multi-Layer-Perceptrons (MLPs) leading to a precise localization of the contact link and its orientation. Apart from the link in contact and the orientation of the force, RFs and MLPs are also able to differentiate between contact points on the same link and orientation but with different distances to the joint axis. We experimentally verify this approach on simulated and real data obtained from the Kinova Jaco 2 manipulator and compare it against an optimization based approach.